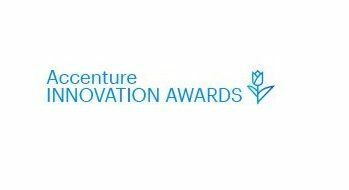 The Accenture Innovation Awards 2016 took place on Friday 28 October and proved to be a success for Delft. The Delft Hyperloop team won one of the Innovation Awards. As a partner of Accenture, we participated in the convention with a prominent stand right near the entrance to the floor. Delft Hyperloop won the ‘easy travel & transport’ innovation award. They were awarded with €25,000 for further development of their vehicle. During the event, Arthur de Crook, managing director of RoboValley, was one of three speakers at the innovation deepdive session about applying robotics in your business. Arthur was joined by Francis Carden, vice president of robotics and transformation at PEGA and Mark Wiermans, managing director smart services at Accenture. They spoke about the requirements to move forward in the robotics revolution and engaged the crowd in a Q&A session. The conclusion of the deepdive was that “robotics can and will improve our lives in ways we have not yet imagined. However, society can only ride the wave of the robotics revolution if we improve our capabilities to work with robots and embrace the digitalization of our daily lives”. The busy RoboValley stand also received a lot of visitors who had questions about the potential of robotics. We took our own robots with us and made sure that they were prominently featured. Robot Pepper, provided by the company Robots.nu, joined the RoboValley stand after chasing moderator Pep Rosenfeld off the stage during the official opening ceremony. Pepper easily gathered a crowd of onlookers at our stand as she actively engaged people in conversation and invited them to take selfies. RoboValley start-ups brought their own robots as well. Delft Robotics brought their bin picking robot, prominently featured in the corner of the RoboValley stand closest to the entrance of the awards. Ronik brought Elios to the stand, a drone in a protective cage. The drone flew around the building and made a lot of noise but also gathered a lot of looks. Finally, the Somnox team presented their robotic pillow, which got a lot of attention and ended up being featured on RTL Z.